Sign up for our newsletter to have the best news and reviews from Lifestyle Asia delivered straight to your inbox. Waiting for Marco Pierre White at the beautiful poolside breakfast set up by Mumbai’s The St. Regis is nerve-wracking. 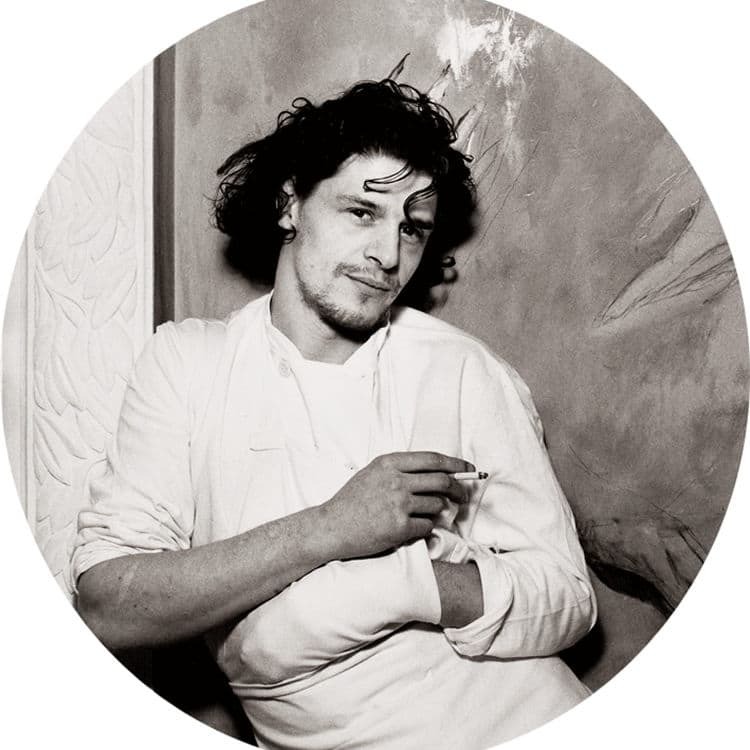 But the moment he walks in with a big smile, complimenting the chefs and staff, his image of being an enfant terrible and stories of his mercurial temper the internet is filled with, melt away. “Hello, nice to meet you,”he says, looking straight into my eyes. I am curious and enamoured. He is, after all, the genius chef who at 33 became the youngest-ever to win three Michelin stars inspite of not training in France (like most of his contemporaries), and under whose tutelage legends like Gordon Ramsay, Curtis Stone, and Shannon Bennett learnt their craft. Ever since retirement and returning his Michelin stars in 1999, White has been the subject of much curiosity for his short-lived businesses and multiple marriages. Despite all failings and his reputation, his popularity only seemed to increase. In India, he became a popular name because of Masterchef – his refreshing honesty, attention-to-detail, and love for good food made him likeable. The most confounding thing about India’s obsession with White is that no one has ever tasted his food here. No pop-ups, no private dinners, not even a masterclass. But India loves White. Such is his power. He was here for the Masters of Marriott initiative, launched with him on January 18, at The St. Regis Mumbai. Together with World On a Plate, India’s first international food festival, the initiative celebrates culinary mavens of Marriott International by bringing together their in-house F&B talent and international celebrity chefs in one place. In 2011, White was asked by a journalist which country he was dying to see, and his reply was India. Now, as I sit across him at this beautiful breakfast table, I dig deeper into the response. “I have been very privileged in my life, because of my work. I have been very lucky to travel the whole world. To be honest, the only place I wanted to go was India,” he says with sincerity. Why, I ask. “ I can’t answer that. Sometimes things pull you – it’s emotional for me.” But when I see him complimenting the chef at the Poi and Goan sausage counter, I get my answer – he loves local food, is easily drawn to authenticity, and India, with all its variety and colour, presents just that. “I came with no expectations whatsoever. But the journey from the airport to the hotel was extraordinary, in an emotional and spiritual sense – it was powerful. The thing that touched me the most was the sweet smell of spice, of food being cooked and served,” he says with a certain drawl that’s almost half-thinking, half-talking, as if he’s experiencing it then and there. And when it isn’t the food, it is the people . “People in India love to cook, they love to feed you. I have been to many catering schools and have never seen enthusiasm like this. They want to learn and do well. It just oozes out of them, they can’t contain it.” White likes to take his time, savour the moment, rethink, reconsider, relive – and among the things he loves, he admires enthusiasm for the craft. Ask him about current trends, Instagram included, he implies that the change is drastic. “When I started in the 70s, food was quite heavy but also, it was a revolution. That was the golden age when people respected the world of gastronomy – that’s long gone now. At that time, the chefs I worked for did not believe in reinvention; they believed in refinement, with respect to the classics. Now, it’s all about the presentation – how it looks. For me, it’s as always all about the eating” he says. There are of course paths to pursue, lessons to learn, and advice to give. 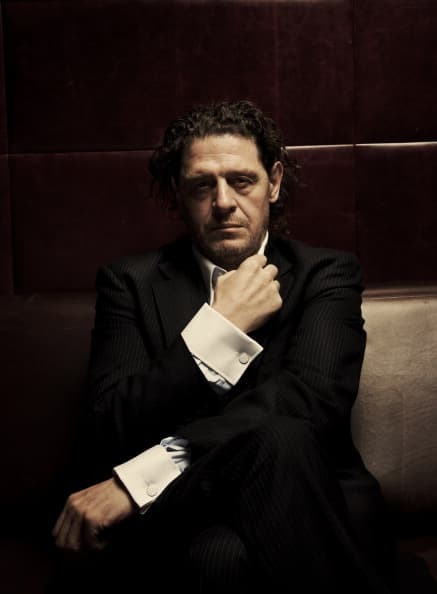 And what has Marco Pierre White learnt about being a chef all these years? “The best cooks all have one thing in common – they love to eat. I had a mother who cooked well and fed me well,” he laughs. As we part ways, we take selfies to mark the moment, and I ask about his future plans. He tells me that after this hectic trip full of people, he’ll go back home and won’t venture out for days. That’s White for you – two sides of the same coin with a dash of eccentricity. When she's not trying on a new serum, researching on yet another classic fragrance and sharing lip balms with her 5-year old daughter, Latha Sunadh keeps it reined in with a nice song and a good book. Special skills include obsessing over handmade, home-made and handcrafted luxuries. Sign up for our weekly newsletters to receive the latest food & drink news and reviews in your inbox. Tell us so we can display what you want to see.